A man who was swept into the sea and drowned during stormy weather could not have been saved, a coroner has concluded. 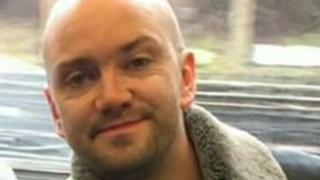 David Dooley, 38, had been drinking heavily in Brighton but was swept away as Storm Callum battered the south-east English coast on 13 October, 2018. Mr Dooley, who lived in Chiswick, London, was seen "waving his arms and making attempts to return to shore". The coroner delivered a conclusion of accidental death. Sussex Police officers were ordered not to go into the rough seas because he had drifted too far out, the inquest at Brighton and Hove Coroner's Court was told. East Sussex assistant coroner Gilva Tisshaw said this was the correct decision as he could not have been saved. Police on the scene also did not know where the life rings were located, leading to delays in trying to rescue him, the inquest heard. The body of Mr Dooley, who was originally from Dublin, was pulled out of the water close Brighton Palace Pier. The inquest heard he had started drinking in the afternoon of 12 October and continued until the early hours. Ms Tisshaw said: "The level of alcohol would have impaired his judgement. I believe there was nothing further the police could have done." The married father-of-one also had traces of cocaine in his system, a post mortem examination found. In her report Ms Tisshaw said: "I believe steps should be taken to increase police awareness of the locations of life rings." A spokesman for Sussex Police said: "We have done a lot of work on water safety and throw lines were introduced as standard equipment on our response cars last year." He said the force would be working with the coroner so any lessons from Mr Dooley's death could be learned.